Last month, Warren Hilarion Joseph became a United States citizen. An immigrant from Trinidad, Mr. Joseph came to the United States with a green card in 1987 and signed up for the US Army three months later. A decorated and honorably discharged veteran who saved fellow soldiers in the First Gulf War, Mr. Joseph fought for the American dream, and now lives that dream as a US citizen. But like thousands of Americans, his path to citizenship was burdened with the failings of our broken immigration system. After his honorable service, but before he became a US citizen, Mr. Joseph spent more than three years in a detention center without a bond hearing. Though he was eventually able to win his immigration case, thousands of others like him continue to be detained indefinitely without hearings. As our country stands at the brink of new immigration policies that would funnel even more future Americans into detention centers, the US Supreme Court this term has the power to give immigrants in long-term detention a meaningful day in court. Mr. Joseph’s story—and the stories of many other lawful permanent residents and asylum seekers who have faced prolonged detention like him—demonstrate why the Court should take this step before it is too late. In Jennings v. Rodriguez, the Obama administration has inexplicably sought to overturn a federal appeals-court decision that ensures that immigrants receive bond hearings within six months of detention. The American Civil Liberties Union (ACLU), which has long fought for the rights of immigrants in long-term incarceration, will be arguing the case on November 30. The legal issues in the case turn on how federal courts must read our immigration laws in line with constitutional protections. The Obama administration argues that the federal government has vast, relatively unchecked powers to detain immigrants for months or years without a bond hearing. As the ACLU argues, this reading of the law raises serious constitutional concerns. To hold immigrants for indeterminate periods of months or years without a bond hearing would violate the Due Process Clause. Immigration detention centers are not Constitution-free zones. The message that underscores the Jennings case is now more important than ever. President-elect Donald Trump has stated his intention to detain and deport millions of undocumented immigrants with criminal records. Mr. Joseph—like one in three Americans—has a criminal record, one for which he had already paid his debt to society before being picked up by immigration officials and detained for three years, despite having a green card. Let’s be clear. 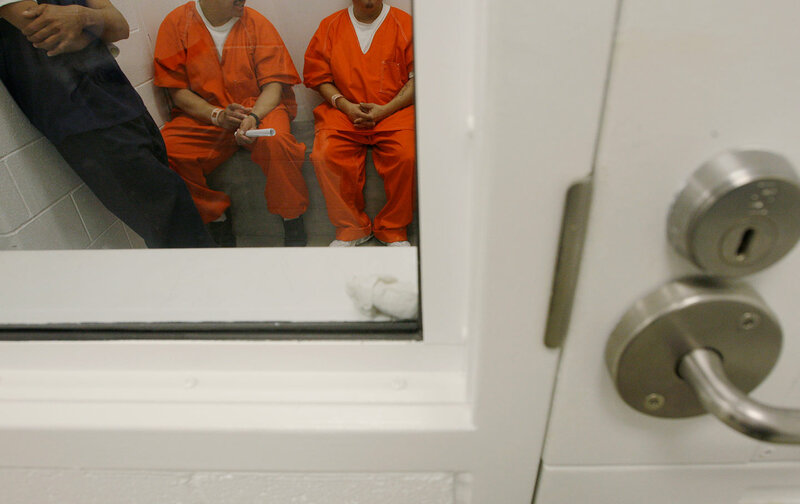 Detention and deportation for immigrants with criminal records is a second punishment, often far worse than what even our broken criminal-justice system decided they deserved. And for the thousands of people subjected to no-bond detention who do not even have criminal records—including asylum seekers who present themselves at the border seeking protection—one must question any rationale that seeks to prevent people from receiving simple due process. Mr. Joseph, thankfully, need not worry about what comes of President-elect Trump’s policies or even the Jennings decision itself. Now a US citizen, he need not fear deportation. But there are millions of immigrants who do fear this outcome, and the years of detention that may come with it—people like my client Alexander Lora, whose case is being held at the Supreme Court for the outcome in Jennings. A longtime permanent resident of the United States, he was detained by Immigration and Customs Enforcement in 2013 and held in a detention center without bond. Though he won his detention challenge in federal court and was released to his family, his immigration case is still pending and he could be re-detained without bond if the Supreme Court fails to protect the rights of immigrants in detention. Mr. Lora’s son, a US citizen, was placed in foster care when he was detained the last time. American families are the ones who pay the price when we fail to protect immigrants’ rights. In today’s troubled times, we look to our legal institutions to protect us. While one might hope that the Obama administration will come to argument on November 30 and change its hard-line course on immigration detention in the light of the stakes post-election, all eyes will be on the Supreme Court. This will be the last immigration detention case to be heard by the Court before President-elect Trump takes office. When it issues a decision, let us hope the Court sends a message loud and clear. Immigrants are protected by our Constitution, and courts will require that our laws be interpreted and applied in recognition of those rights. These are the rights that people like Mr. Joseph have fought to preserve, and we expect our legal institutions to uphold them. Alina DasAlina Das is an Associate Professor of Clinical Law at New York University School of Law.